Game Refuge has announced that they're developing General Chaos 2: Sons of Chaos, sequel to their Sega Genesis strategy game. They've launched a Kickstarter campaign in an effort to raise enough money to complete the project. 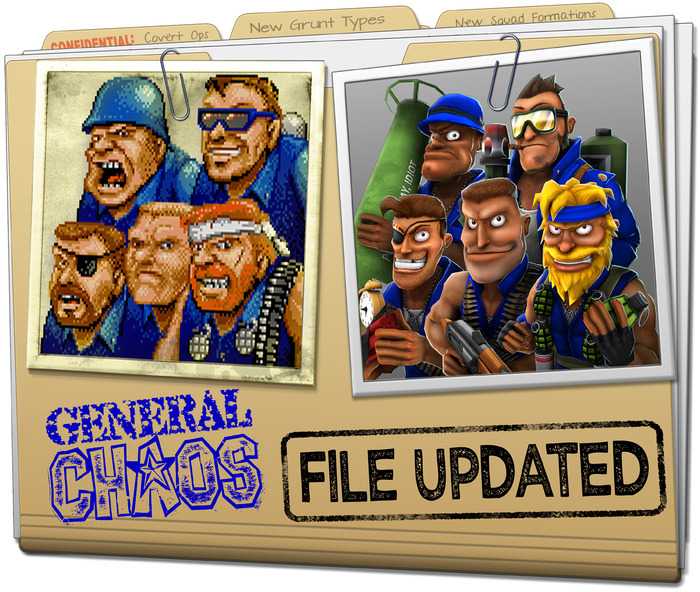 General Chaos was a mix of real-time tactics and action. 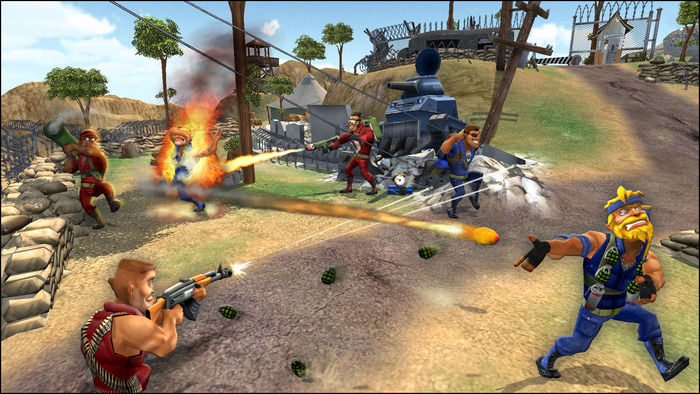 Players lead a squad of soldiers against an opposing forces. The five character classes of the soldiers ranged from the flamethrower-wielding Scorchers to the grenade-tossing Chuckers. Using each class's unique weapons effectively was the key to victory. When two enemies entered close range, they'd have to duke it out in a short brawl. The game supported four-player cooperative play as well as head-to-head matches. Chaos might be one of the best games I remember from my Genesis days. It was really ahead of its time. Four-player co-op and character classes were both a rarity in the action genre back then. I'm surprised it's taken Game Refuge this long to attempt a sequel. General Chaos 2: Sons of Chaos introduces touchscreen and mouse controls to the series. The battlefield and characters are now 3D instead of sprites. Unlike the first General Chaos, the action isn't limited to a single-screen. Players can expect larger environments with dynamic cameras that follow characters. The game will support both online and LAN multiplayer. "All of the original characters are back; only more versatile, smarter and funnier," says Game Refuge on the project's Kickstarter page. "We’re increasing the number of Levels, adding new Squad configurations and Squad Movement options, and there will be plenty of new Terrain nuances just waiting to trip up the unwary." Game Refuge is seeking $125,000 to complete the core game for PC. They've also announced a series of stretch goals should they earn more than that sum. For example, they'll add new character classes at $225,000 and controllable vehicles at $450,000. They'll port the game to iPad and Mac at $250,000 and to consoles above $700,000. "Know this: We’re going to do our best to do everything on this list regardless of how much we raise. But the more we raise, the more people I can put on the project, and the greater the likelihood that it all gets in." The studio says that the project will take about nine months from start to finish. That would mean the game will arrive next summer.